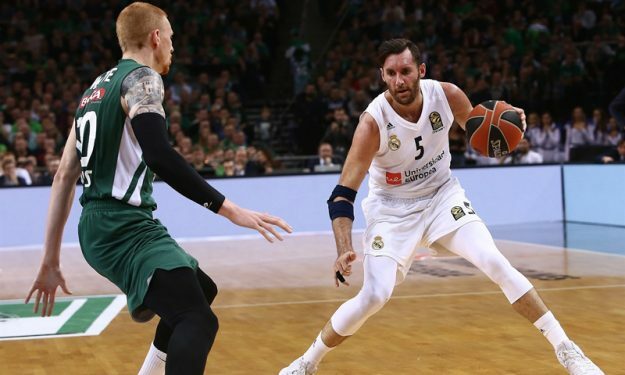 Felipe Reyes and Rudy Fernandez didn’t travel to Istanbul for Real Madrid’s away game against Darussafaka Tekfen. Real Madrid will face Darussafaka tomorrow at Istanbul. Two players, Rudy Fernandez and Felipe Reyes didn’t make the trip to Turkey for the EuroLeague Regular Season Round 21 match. They aren’t facing any serious injury, but were rested ahead of the Spaniards next EuroLeague and ACB games. The European Champions are second in the standings with sixteen wins in their first twenty EuroLeague games this year. Their W-L record in comparison with the other top teams of Europe’s premier competition grants Pablo Laso the luxury of resting players whenever he deems appropriate.